A warm welcome to the Xenios Campus, the online platform for clinical support, information, training and continuing training – putting the emphasis on blended learning. The Xenios Campus knows the value of having the right knowledge. It offers innovative modules that enable you to pursue individual advanced training. Acute respiratory distress syndrome (ARDS) is often complicated by acute kidney injury (AKI) and this leads to increased mortality. 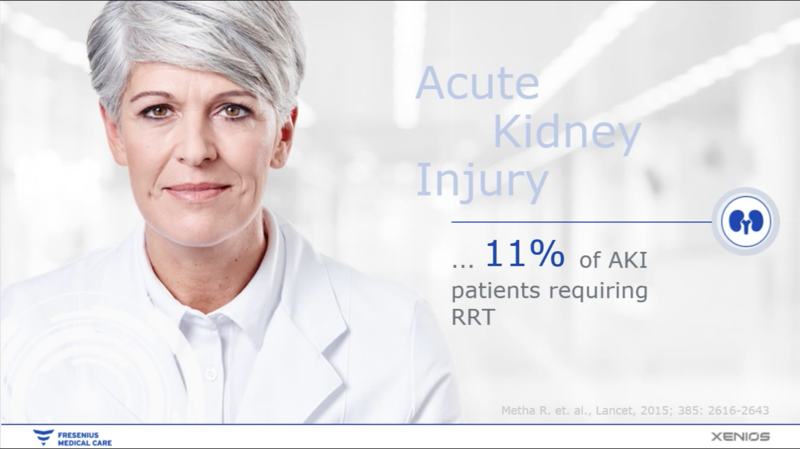 Connecting Novalung ECMO therapy with Fresenius Medical Care CRRT enables you to provide extracorporeal support for the lungs and kidneys with only one vascular access. Join us for the next step towards multi-organ support. Watch our web-based training for combined lung and kidney therapies. Our internationally acclaimed clinical support team accompanies the clinical application of all Xenios products. Our specialists trained in intensive care are available on a telephone hotline. The clinical support team also provides support on-site in hospitals during initial applications of Novalung products and offers customized training courses.